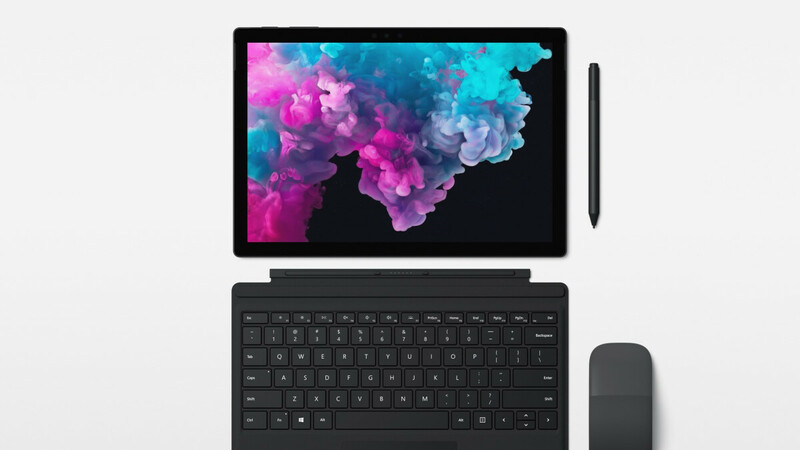 Although Microsoft’s Surface Pro 6 introduced some impressive internal upgrades when it was announced back in October, some people were disappointed with the lack of design changes. But with next year’s Surface Pro 7, this could change. Spotted by WindowsUnited, a new patent hints at an updated manufacturing process that involves etching the Surface Pro’s keyboard in order to create a thinner product. Furthermore, it appears Microsoft is currently researching a new trackpad integration that sits directly in the keyboard’s circuit board. In regards to the tablet itself, no details are provided in the patent listing. However, if previous rumors are indeed accurate, the much thinner keyboard could be paired with a significantly smaller tablet that employs reduced bezels, thus following in the footsteps of Apple’s latest iPad Pro models. In addition to this, the overall look is expected to be 20% lighter than the current-generation and more rounded. Also set to make an appearance is a USB-C port. If Microsoft sticks to its usual release schedule, the updated Surface Pro 7 could make its debut in October alongside the fall 2019 Windows 10 update. Until then, though, consumers will have to opt for either the Surface Pro 6 or the smaller Surface Go. "following in the footsteps of Apple’s latest iPad Pro models." Can we get bending for new Surface as well? After all Apple was the one who released first tablet you can fold. Samsung was not first to get this idea. who are these people who want design changes every year? I can understanding including new tech as everyone always wants the latest but design changes? Come on.